This clam chowder recipe with wild smoked salmon is such a hugely popular restaurant recipe it is served seven days a week and almost always sells out. 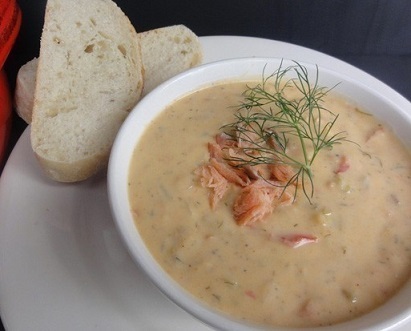 It is a favorite restaurant recipe for clam chowder because it contains wild smoked salmon. This restaurant recipe "marries" two fabulous Northwest (USA) products, clams and smoked wild salmon with just the "right" herbs and spices to bring everything together - a "happy union." 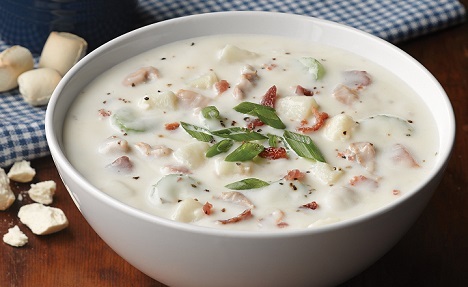 Because the restaurant recipe combines these two famous products from the Pacific Northwest (USA) and because the restaurant is located in that area, this recipe is often called "Potlatch Chowder." "Potlatch" is a Northwest Native American term for a meeting (a gathering - a party) that celebrates the abundance of food in the Pacific Northwest. And ...thanks to the internet and some great grocery stores no matter where you live, you have access to wild salmon and clams. Preparation time: 45 minutes. Serves: 10. 6 ounces wild smoked salmon. You and yours will LOVE this "marriage." This chowder recipe has about 24 grams of carbohydrates per serving (assuming 10 servings as specified) for those of you who are carb counters. 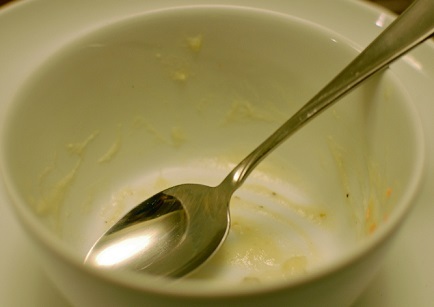 Thank you for your interest in this clam chowder recipe and in restaurant recipes that work. Rest assured, with the restaurant recipes on this website you can cook with confidence and style! 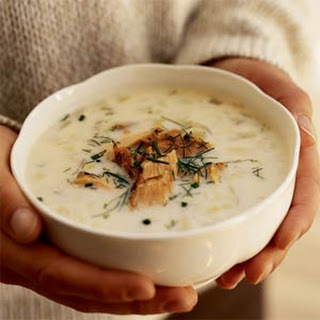 ENJOY your restaurant clam chowder and the company of those you share it with!